Claims within the EU: How long is the guaranty period when shopping in other EU countries? How long is the period for settlement of claims? What are your rights when purchasing goods? Is consumer guaranty on goods provided in all EU Member States? How long is the guaranty in the EU? 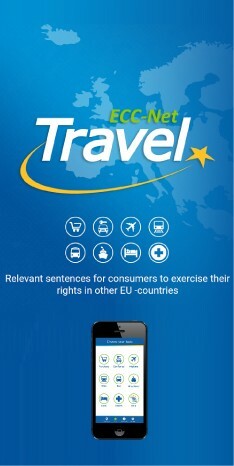 Are my consumer rights equal in all EU countries? Which rights are guaranteed when I shop goods in the entire EU? What are my rights as a consumer in case of contradiction with the contract? That means, when purchased goods are inconsistent with contract of purchase. How long can I exercise my rights related to the contradiction with the contract of purchase? How long is the limit for settlement of complaints logged to traders from other EU countries? Can I return non-defective goods, for example an inappropriate gift? Yes, European law provides a minimum common level of consumer protection in all EU countries. Every Member State can also provide better position and stronger protection to consumers than stipulated in the European common law. There are 2 years of guaranty for consumable goods in all Member States. For some types of goods, guaranty can be longer in some states. Not necessarily. There is a minimum common level of consumer rights. Individual states can adopt standards that are more favorable for consumers. Every consumer in the EU has the right for his/her purchased goods are in conformity with the contract of purchase. That means that they have to be handed over without defects to the consumer and be of quality and nature customary for the specific type of product and suitable for purposes which they are normally utilized. As a consumer I can exercise my rights within the period of 2 years. If I exercise my rights within the first 6 months from hand over, it is not up to me to prove that the non-conformity existed already at the moment of delivery. Rather it is the seller who can prove that there was no defect at the moment of hand over. If I claimed from month 7 to month 24, I would have to prove that the defect existed already at the moment of hand over. According to Czech legislation I can claim defects that occured during two years after the purchase. Claims must be settled “in a reasonable time” in most EU countries. This term is usually interpreted as a period between 4 to 6 weeks. The maximum legal period of 30 days for settlement of claims is established in the Czech Republic and the Slovak Republic, while in Poland, the trader is obliged to inform the consumer within 14 days how the claim will be settled. You have the right to return goods within the protection period only when the contract is concluded by means of distance communication (for example via the internet or phone) or when the contract is concluded away from business premises (for example presentation events). If you buy goods in an ordinary shop, you can return them just in case that such option is offered by the trader. Many traders offer such option, but it is not their obligation. You should ask about such possibility before buying in a particular shop.